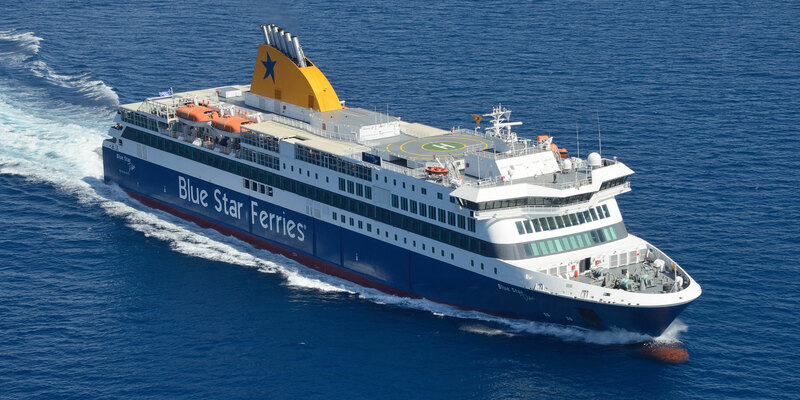 SKEVOS TRAVEL Rhodos-Fähre tickets, Flugtickets , Hotelbuchung Piraeus-Kalimnos-Kos-Rhodes-Astipalaia-Patmos-Lipsoi-Leros-Nisiros-Tilos-Symi-Karpathos-Kastellorizo Itineraries - Ferries, Itineraries, connections, availability, prices to Greece and Greek islands. Andros island greek ferries e-ticketing. TUESDAY 05/09/17: from PIRAEUS 18:00 to PATMOS (01:30-01:45 next day), LIPSI (02:15-02:35), LEROS (03:20-03:40), KALYMNOS (04:35-04:55), KOS (05:45-06:15), SYMI (08:30-08:50), RHODES 10:00. THURSDAY 07/09/17: from PIRAEUS 15:00 to PATMOS (22:45-23:00), KALYMNOS (01:00-01:20 next day), KOS (02:20-02:50), NISYROS (04:10-04:30), TILOS (05:40-06:00), SYMI (07:30-07:45), RHODES 09:10. SATURDAY 09/09/17: from PIRAEUS 17:00 to ASTYPALEA (01:30-01:50 next day), KALYMNOS (04:10-04:40), KOS (05:40-06:00), NISYROS (07:20-07:40), TILOS (08:50-09:10), SYMI (10:55-11:15), RHODES 12:35. SUNDAY 29/10/17: from PIRAEUS 08:00 to TINOS (12:40-12:55), ASTYPALEA (17:30-17:50), KALYMNOS (20:10-20:30), KOS (21:30-22:00), NISYROS (23:15-23:35), TILOS (00:40-01:00 next day), RHODES (04:10-07:00), KASTELLORIZO 10:40. MONDAY 11/09/17: from KASTELLORIZO 11:00 to RHODES (14:40-16:00), SYMI (17:20-17:35), TILOS (19:15-19:30), NISYROS (20:30-20:45), KOS (22:00-22:30), KALYMNOS (23:25-23:40), ASTYPALEA (01:55-02:10 next day), PIRAEUS 10:20. FRIDAY 27/10/17: from KASTELLORIZO 14:00 to RHODES (17:40-19:00), SYMI (20:25-20:40), TILOS (22:10-22:30), NISYROS (23:40-23:59), KOS (01:20-01:50 next day), KALYMNOS (02:50-03:10), TINOS (08:40-08:55), PIRAEUS 13:10. *Every Friday departure from Rhodes 10:00, arrival Kastellorizo 13:40. *Every Monday departure from Rhodes 07:00, arrival Kastellorizo 10:40.